Some people have called the Cays "a sailor's paradise". Others have called the Cays "a slice of paradise". Either way, Coronado Cays homeowners are devoted to their community. 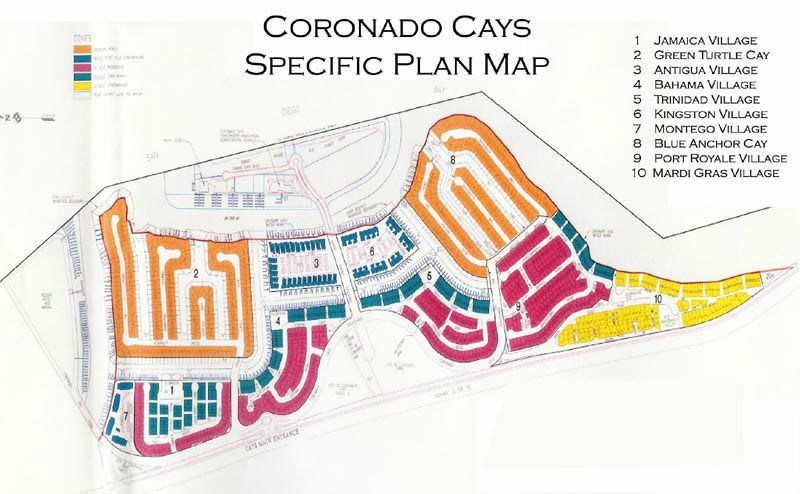 The Coronado Cays has 10 separate communities, which with their own distinctive architecture. One of the main benefits offered by the Cays are the facilities and services available to the residents. Through a monthly HOA fee paid by the residents, maintenance to the exterior of the homes and landscaping is managed by the HOA association. This service has been a tremendous benefit to owners who utilize their property in the Cays as a second home. To many of them, it offers the same benefits of a condominium but allows them to own a stand alone home. The variety of facilities available to the residents includes private beaches, tennis courts, athletic fields, a local yacht club and one of the largest parks in the city of Coronado. All of this is included in the homeowners monthly HOA fees although the yacht club is an additional fee. By far the favorite benefit mentioned by most homeowners is the luxury of having their boat slip to park their boat directly behind their home. These slips have direct access to San Diego Bay and the open ocean. This benefit is not available in any other community is San Diego and is one of the few real estate communities in all of Southern California to offer homeowners this benefit. The Coronado Cays is a unique real estate development. It offers not only a wonderful lifestyle, each community in the Cays has developed different atmospheres. For those who may be interested in looking to purchase a home in the Cays, give us a call at 435-8722 so that we can explain the different communities and help you match your needs with the best corresponding community in the Coronado Cays. In the meantime, take a look at the Coronado Cays Master Plan.